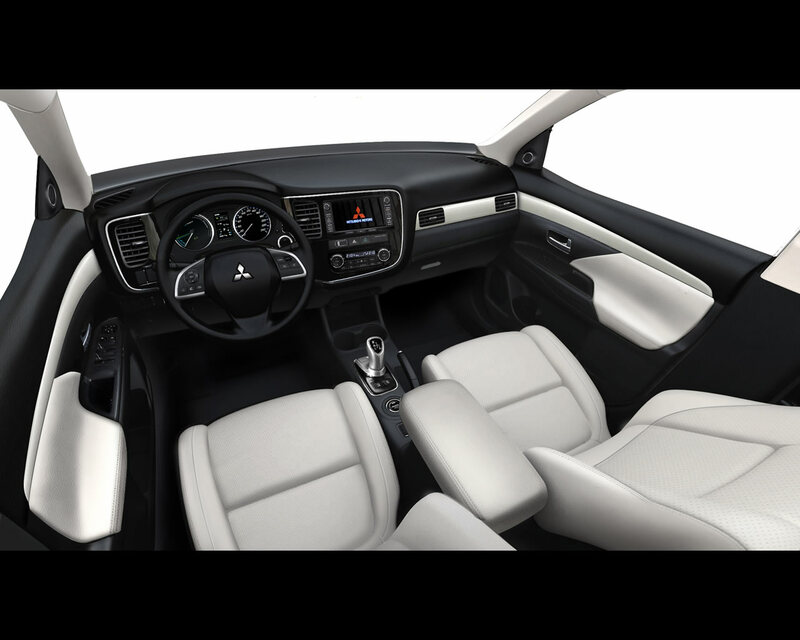 Mitsubishi introduced the new generation of its Outlander SUV. This model was developed from the beginning not only for Diesel or Gasoline Engine propulsion but also for a fully integrated Plug-in Hybrid version. 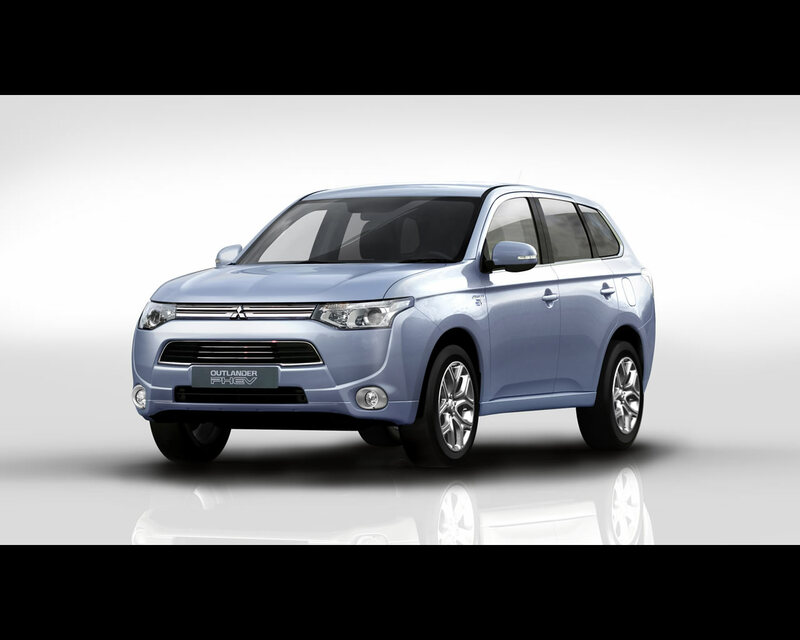 This new Mitsubishi Outlander PHEV will be gradually introduced on the Japanese market as well as on European market in 2013. The Hybrid propulsion system consists of two 60 kW electric motors, one on the front axle and one on the rear axle as well as a front-mounted 2.0 Litre gasoline engine. The electric energy is stored in a 12 kWh high capacity Lithium-ion battery supplied by Lithium Energy Japan. There is a provision for plug-in charging in four hours for a full charge at 240 V- 15 A. There is no gearshift and the front wheels are driven by the engine through gear train in Parallel Hybrid Mode. 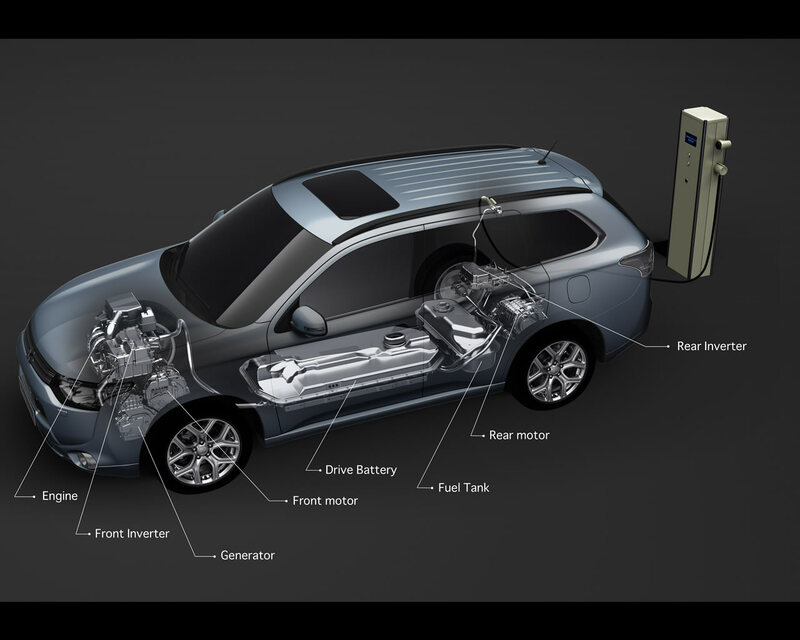 The front gasoline engine is located on the right side of the same engine compartment like on the new gasoline engine only Outlander. The front electric motor is located on the left side of this compartment together with the inverter and the generator. The battery pack is stored safely under-floor within the wheelbase in order not to affect interior space. The rear electric motor with its inverter is located under-floor in the cargo area. There is a possibility for permanent electric four wheel drive (“Twin Motor 4WD”) with each motor driving its own axle independently for optimal front-rear torque split. The Outlander PHEV is equipped with Lancer-Evolution derived S-AWC (“Super All Wheel Control”) for smooth, seamless driving and increased active safety. The electric drive range is 55 km up to 120 kph where legal (as per Japan’s JC08 mode) and the total range with one battery full charge and one full gasoline tank at 880 km (as per Japan’s JC08 mode). 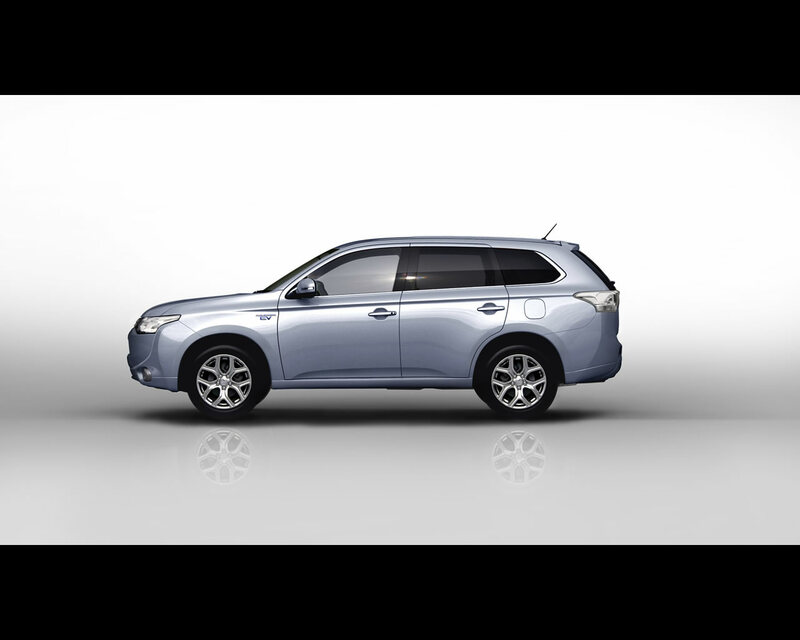 The Outlander PHEV offers two different settings manually selectable; there is an ECO mode with focus on fuel efficiency and a Normal mode with optimal balance between motive and environmental performances. (below 49 g/km – EU standard). from the battery AND from the generator. battery and 2) with the motors.  The petrol engine is not engaged.  CO2 emissions below 49 g/km (2). Sharing the same wind-tunnel honed body as well as the same thorough efforts made by MMC R&D to reduce the overall level of NVH as its New Outlander Internal Combustion Engine-powered cousins, the Outlander PHEV adds obviously the quietness of an electric vehicle in Pure EV mode. The story continues though in Series Hybrid and Parallel Hybrid modes with a fine management of the power-train meant to minimize the use of the petrol engine or if required, with a strict control of its speed. 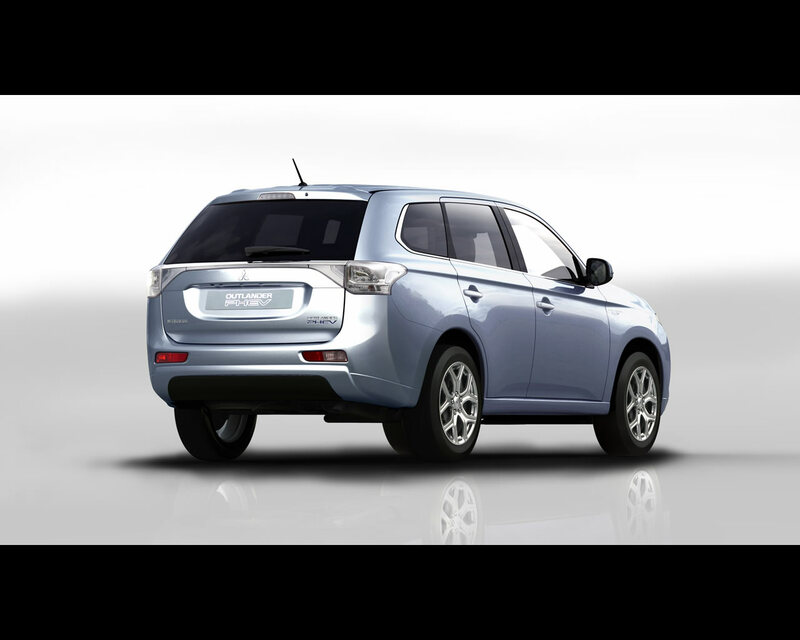 Outlander PHEV’s smooth driving experience is further enhanced by the inherent seamless nature of its electronically-controlled accelerations, without any sort of gear shift shock.